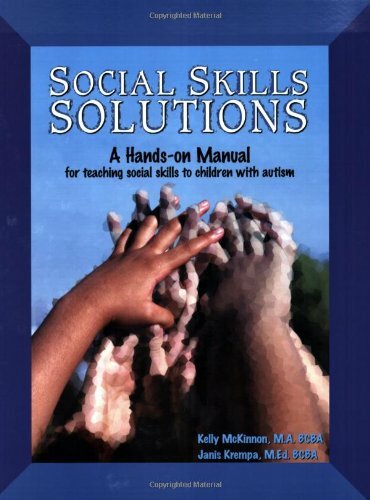 Provides instruction on how to build a social skills program and presents effective methods for teaching specific goals. Addresses issues and skills that are often overlooked in other manuals. There is a comprehensive checklist to be used as an assessment of skills and as a method of creating goals for individual students. There are concrete strategies broken down into simple steps for using visuals, video modeling, peer play and natural occurring situations to facilitate social skills learning. Reproducible worksheets to reinforce these skills are also included.